The state is taking nominations from gateway cities interested in customized assistance, including real estate services, aimed at encouraging economic development activity with landowners and investors. MassDevelopment on Tuesday announced the second round of its Transformative Development Initiative (TDI), with the goal of selecting four to six additional TDI districts. Ten TDI districts — in Worcester, Brockton, Haverhill, Holyoke, Lynn, New Bedford, Peabody, Pittsfield, Revere and Springfield — were selected in the first round. Everett and Malden were also chosen to receive directed regional planning, according to the state’s economic development agency. MassDevelopment created the Transformative Development Fund in 2014, when it also selected 10 of its 26 gateway cities for its three-year pilot program. In August 2016, Gov. Charlie Baker signed legislation that included a $45 million TDI authorization to make long-term investments in TDI district properties. 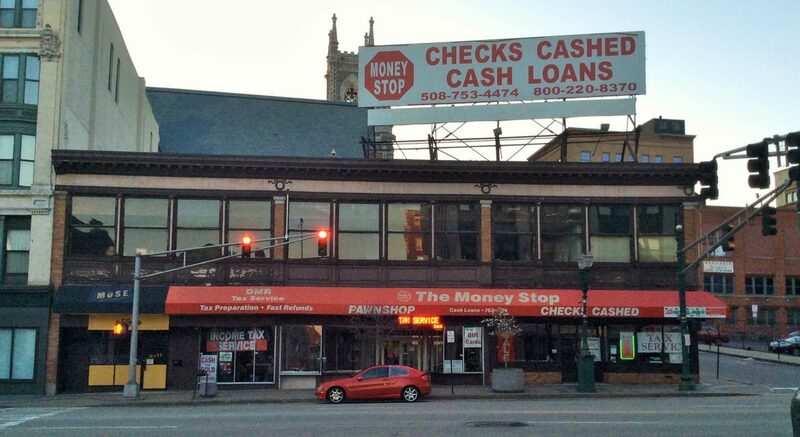 MassDevelopment used TDI equity investment funds to purchase the Money Stop building, 526 Main St., a transaction that closed over the summer and was first reported by the Sun in early August. The Theatre District is the program’s target area. The state’s gateway cities are Attleboro, Barnstable, Brockton, Chelsea, Chicopee, Everett, Fall River, Fitchburg, Haverhill, Holyoke, Lawrence, Leominster, Lowell, Lynn, Malden, Methuen, New Bedford, Peabody, Pittsfield, Quincy, Revere, Salem, Springfield, Taunton, Westfield, and Worcester. Current TDI partnerships may apply for district extensions or to have a different district considered for designation.